Happy? Happy? How happy are we when we try to live righteous, upstanding lives and get berated for it? What puny vapors compared to the persecution others around the world suffer. And remember that when they persecute you, they persecute Jesus. In persecuting the Christians, Paul had persecuted the Lord Himself. And the reward? 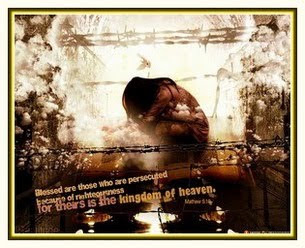 The Kingdom of Heaven is yours!